Or view larger version. New Year’s Day in San Francisco’s Chinatown. 1881. Theodore Wores, artist. Oil paint on canvas. Collection of Oakland Museum of California. Gift of Dr. A. Jess Shenon. 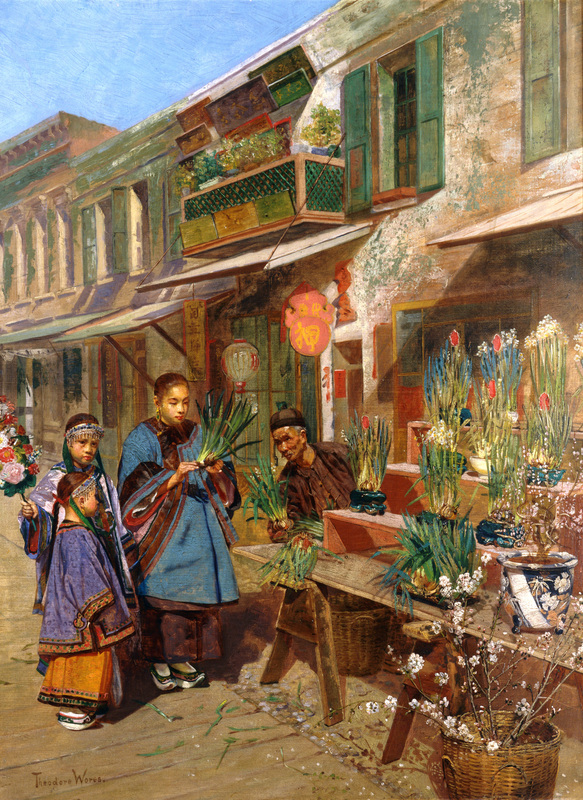 This is an oil painting of three Chinese-American girls buying flowers for New Year’s Day, 1881.